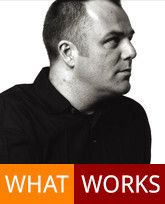 Mark Dytham is director of Klein Dytham architecture (KDa) based in Tokyo. KDa is a multi-disciplinary design practice active in the design of architecture, interiors, and public spaces, installations and events. Working with clients such a Selfridges, Vertu, Uniqlo, Shiseido, Tsutaya and Sony redefining the retail experience is a key element of KDa’s work. Mark is also founder of PechaKucha, a simple presentation format (20 images x 20 slides) for the creative industries which has taken the world by storm, with over 100 PechaKucha Night events taking place each month in over 500 cities globally, and is described as one of the largest physical social networks in the world.